Delivery from £7.95 to United Kingdom in 5 - 11 working days. A building’s history weighs heavily on each nut and bolt. 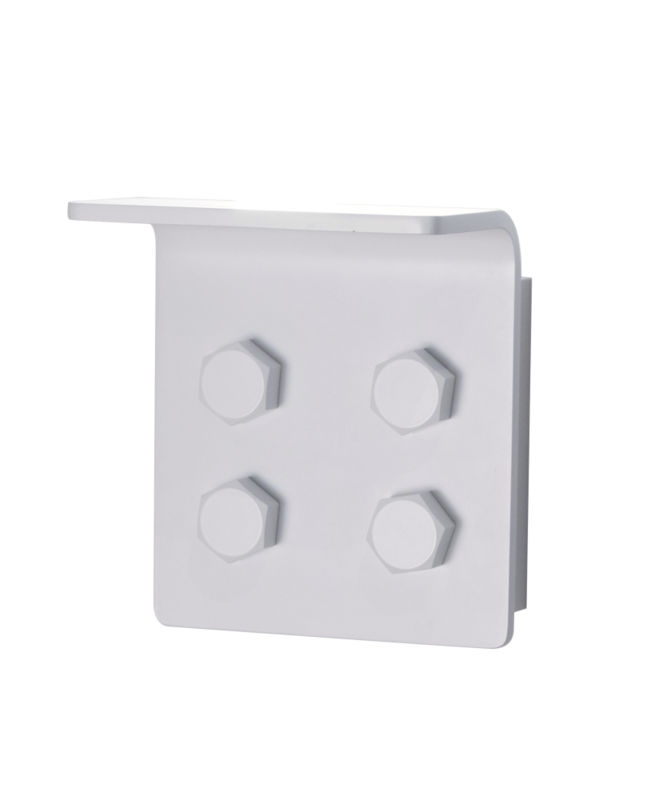 Reclaim that industrial detail in a contemporary space with this LED wall sconce. Steve Jones studied Industrial Design at Newcastle Polytechnic (now University of Northumbria) from 1988-1992 before starting a career in consultancy in London. He worked in the furniture industry before moving into lighting and forming Innermost with Russell Cameron in 1999. They wanted to build a company that had innovation at its core and treated designers with the respect and understanding deserving of great innovators. The vision was achieved and Innermost now works with designers and design groups from almost every region of the world. Jones's style has seen him not only bring his own designs to the collection but bring in names like Michael Young, Jarrod Lim, Rich Brilliant Willing and Shin Azumi, helping to shape a collection that has breadth as well as depth. His interest in design spans all aspects of material and production and this can be seen in the varied aesthetics of the different Innermost ranges. His involvement in the process is not just a studio based one, it involves knowing production and getting into the factories to study process and consult with those that finally make the designs.